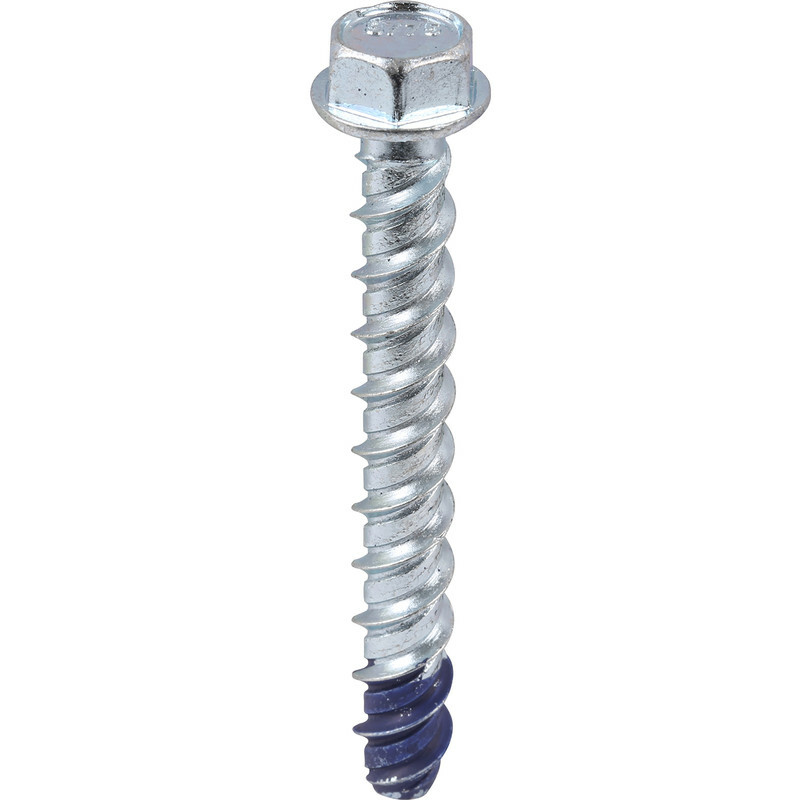 One-piece heavy duty concrete screws with ETA Option 1 approval. Provides a strong hold for high load applications. DeWalt Hex Head Blue-Tip Concrete Screwbolt M8 x 100mm (25 Pack) is rated 2.8 out of 5 by 4. Rated 4 out of 5 by MattBlyton from Very sturdy Bought for a specific job, to hang gate hinges on brick gateposts. They bite well but, if too near the edge of the brick can cause the brick to crumble. They're quite stiff to get in, as they actually chew into the brick. Having ratchet tools for use on cars was a massive help. Mate the whole things much easier. Rated 5 out of 5 by Medway Handyman from Excellent Use these to fix TV brackets to dot & dab walls, really strong fix. Rated 1 out of 5 by Beets101 from Awful in brickwork. Bought these as I’ve used other cheaper types but these just won’t either go in or just don’t grip. I did use the correct drill size.